We are told constantly that tooth decay is not curable, cavities can’t heal and that at a certain point we need modern dentistry and procedure such as root canals or fillings to give us the best dental health possible. But the good news is that as the classic book Nutrition and Physical Degeneration by Weston A. Price and a newer book by Ramiel Nagel titled Cure Tooth Decay which builds on Dr Price’s work, the truth of the matter is quite different. This is really good news to anyone with teeth! Dr Price studied the oral health of many people around the world and found that good dental health tallied to a remarkable extent with lack of exposure to a ‘modern’ diet full of sugar and processed starch etc. 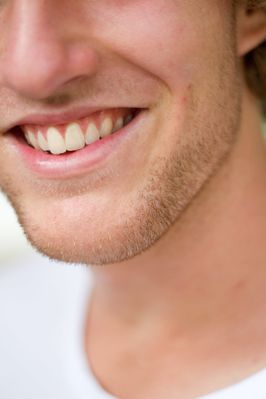 Crooked teeth and a narrow overcrowded jaw are also nutrition related. To read more about Dr Price’s work you can read his book for free online or check out the Weston A. Price Foundation website for many excellent summaries of his findings. The book Cure Tooth Decay explains how providing the body with a high concentration of minerals and nutrients allows it to heal damaged teeth. It also explains some of the problems caused by modern dentistry and how good dental health, and a healthy wide jaw begin in-utero. Similar information on the importance of pre-natal nutrition can also be found in books such as Deep Nutrition and Primal Body, Primal Mind. This type of information is so important. For the past 130 years modern society has blamed germs and what germs eat as the exclusive cause of tooth decay. The remedies prescribed have been fluoride, tooth brushing and tooth flossing. When these fail, you must submit to drilling and filling. Yet these prescribed methods do not seem to work for a significant portion of the population. Tooth decay is caused by nutrient deficiencies and not bacteria. This has been proven in both animal and laboratory experiments. If tooth decay was considered a nutrition problem then both patients and dentists would very quickly start asking the question I have been asking, “Why do dentists drill people's teeth?” There are compelling reasons for the industry of dentistry to be blind to a nutritional or preventative paradigm because it would require changing how they do business. Dentists are educated in an old-fashioned way that focuses exclusively on surgical intervention. On one hand dentists are supposed to be experts in the mouth. But on the other hand they are limited to surgical or chemical interventions. Dental schools do not teach about tooth remineralization with food. I have been told that some conservative dentists have trouble looking at my book because it challenges almost every belief that they have been taught and to which they cling so dearly. Use dental floss or tape daily if possible or even better, use an oral irrigator. Use a soft bristled toothbrush to clean your teeth daily, either manual or electric. Use electric toothbrushes gently. The very dedicated may want to look into tooth blotting, oil pulling and the use of an oral irrigator such as a Waterpik; this is the type of tooth cleaning recommended in Cure Tooth Decay. (I find all of these things too much effort or too expensive, personally.) The book also recommends swishing with unrefined sea salt in water and making your own non-toxic tooth powders. Avoid fluoride in toothpastes but also ingredients such as xylitol (a synthetic ingredient which gives the liver more work to do in detoxifying it), mannitol, sorbitol, sulfites or sulfates and especially sodium lauryl suphate, and glycerine. Avoid antibacterial mouth washes such as Listerine. Killing all the good and bad bacteria in your mouth is not a good thing. Healthy bacteria are vital part of good dental health. For information and references on why fluoride is a toxic substance that should be avoided check out the HHH page on minimising toxic exposures. Tooth powders can be a good alternative to toothpastes, and can be made easily and cheaply at home. They are much less messy than toothpastes too and are very easy to use. You can make your own tooth powder by mixing 2 tablespoons of baking soda, 1 teaspoon of fine unrefined sea salt and an (optional) 5-10 drops of peppermint, spearmint or cinnamon oil. You can also brush your teeth with coconut oil, unrefined sea salt or use nothing but water. Do not brush teeth within an hour of eating as this can damage tooth enamel. This is especially true if you have eaten acidic foods. Yellow teeth can be caused by poor liver health and so may not be helped by more frequent brushing etc. Tooth decay on top of teeth or tartar can mean you have too much poorly absorbed calcium in your system says the author of Cure Tooth Decay. This is further reason to take calcium only through the diet or as angstrom calcium; a form of calcium that is absorbed almost 100%. Brushing alone wont fix dental problems caused by poor nutrition. It is part of the solution but not a solution or effective preventative strategy in itself. Important supplements for dental health are vitamin C, D and A, silicon, magnesium and other minerals and ubiquinol. Vitamin C and silicon (e.g. Biosil) can help prevent tooth loss, and ubiquinol improves blood flow to all areas of the body including the mouth. Vitamin D levels should also not be allowed to become low as vitamin D promotes strong teeth and bones. Having adequate amounts of all the minerals is essential to good bone and teeth health. A healthy body has healthy teeth and teeth that are resistant to decay and so eating well and taking the right supplements benefits your whole body and not just your teeth. See the diet and nutrition pages on this website for more information on this topic. Fermented cod liver oil or cod liver oil is an excellent way to boost levels of vitamins A and D. Fat soluble vitamins are important for general health and dental health. Eliminating foods high in phytic acid is important especially in the initial stages of tooth remineralisation. All seeds and nuts should be soaked and dried before being eaten. Eating nutrient-dense foods such as healthy fats (coconut oil, grass-fed butter/ghee), grass-fed meats, bone broths and organ meats such as liver is helpful for improving health including dental health, as is keeping blood sugar levels stable. A very high carbohydrate diet can affect the body negatively in many ways. What to do if you have current tooth issues? Sensitivity to hot and cold foods in a particular tooth is an early sign that your tooth is in trouble. For information on what to do if you have wisdom teeth that you’re told need to be pulled, if you have tooth pain, if you are told you or your child needs braces, or a root canal or filling and want to know why mercury fillings should be avoided by everyone, the books listed in the further reading list are vital reading! The Cure Tooth Decay book explains that finding a good dentists and getting a second opinion is very important. Extreme modern dentistry practices may be able to be avoided with the right advice and support. 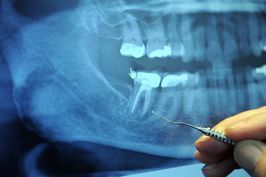 Dental revisions and removal of mercury fillings should only ever be done by qualified experts as done incorrectly they can make toxicity problems become much worse. Note that there seems to be an increased risk of tooth loss and other dental problems in M.E. and so making sure your nutrition is optimal is so important for us, as well as anyone facing serious health issues. I know of a handful of M.E. patients that have had to have all of their teeth removed (at relatively young ages of 30 or 40) or that have crumbling teeth. It is a big problem. Cure Tooth Decay by Ramiel Nagel. This book has many Amazon reviews on Amazon from people who have healed even advanced tooth decay that was through the enamel. The author was motivated to write this book and do the research for it after his two year old daughter suffered serious tooth decay.